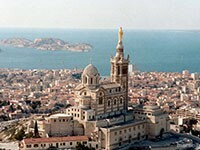 Incredibly beautiful city ​​of Marseille It is considered to be an industrial center and the second most populous city in France. Besides, it is aboutsama din of the oldest European cities. At this point in Marseille opened two IKEA store.